Extrapolating from glinting eyes and smirking lips, Candice Smith Corby invents the perspectives of sitters from the Fruitlands Museum's collection of 19th-century middle-class portraiture. The portraits, though compelling, are no Sargents. Painted in "plain style" by itinerant artists who were paid by the hour, the sitters' and artists' identities are often little-known. Displayed alongside their historical counterparts, Corby's paintings bridge the artist's imagination and contemporary world via humor, pathos, and formal and symbolic relationships. They Adored Each Other is a whimsical still life depicting a table set for two. 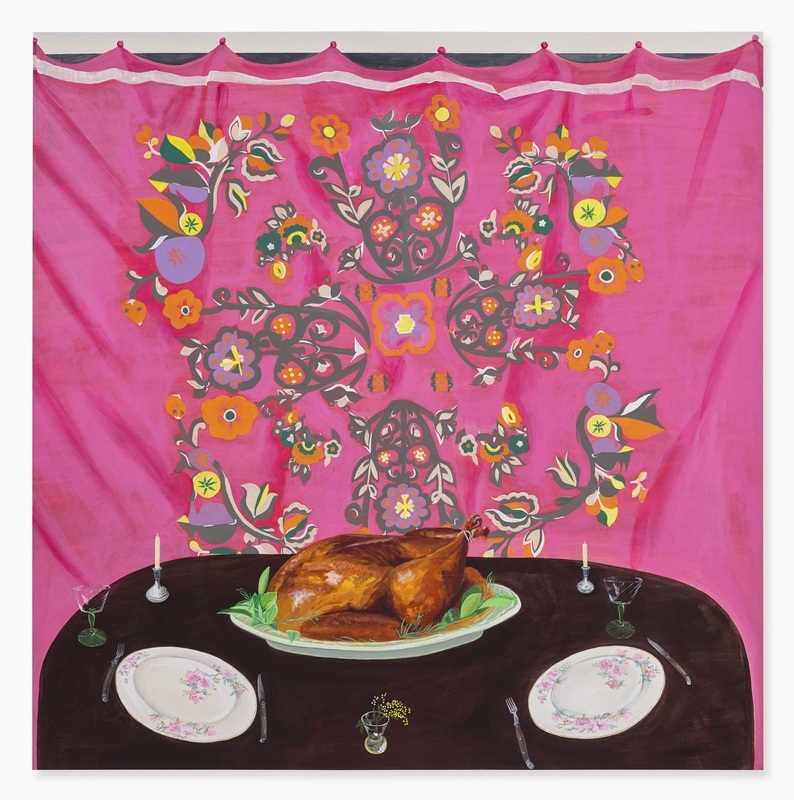 Thinly rendered in acrylic and gouache on wood panel, immaculate dinner plates face a full rotisserie chicken and a shockingly pink floral tapestry. The couple, Elias and Sophronia Trafton, flank Corby's painting in remarkably preserved pastels from 1820. Despite their subdued expressions, one can almost feel them playing footsie.